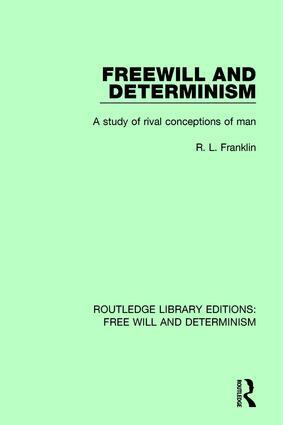 This book, first published in 1968, examines the complicated issues which surround the problem of freewill. Although it reaches a libertarian conclusion, its focus is largely on other questions. What ultimately is at stake in this debate? What difference would it make whether we had freewill or not? Why must disagreement persist, and why do philosophes each opposed conclusions with such confidence? The answers to these questions open new perspectives.